Above: The 747 Supertanker being reloaded at Santiago, Chile, January 28, 2017. Photo by Bill Gabbert. In January and February two large air tankers traveled from the United States to South America to assist firefighters in Chile that were dealing with an unprecedented number of wildfires. Global SuperTanker’s 747 left Colorado Springs on January 24 and returned on February 13. A BAe-146 operated by Neptune Aviation was down there from about February 4 to March 5. As far as I know this is the first time that any large air tankers from North America have assisted with wildfires in South America. One limiting factor is that up until recently most of the U.S. air tankers were former military aircraft which were not allowed to be used outside the country. With the industry converting to used civilian airliners and cargo aircraft that restriction does not apply to the newer privately owned aircraft. On Monday a wildfire burned approximately 100 homes in Valparaiso, Chile. There are reports that 19 people were injured and hundreds were forced to evacuate. The fire was fought by firefighters on the ground assisted by [single engine] air tankers and helicopters dropping water. And later, three wildland firefighters were killed January 15 while battling a fire in the commune of Vichuquén, Maule Region of Chile. 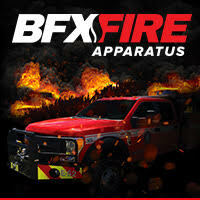 But the fires in Chile were receiving very little notice in the mainstream media in the U.S.
“We need fire figthing [sic] planes to fly to Chile, need to know if your company can establish contacts right away. I, of course, do not have any air tankers, but I forwarded his message to air tanker companies that I thought might have some available. Selecting the companies was a pretty quick decision that I didn’t want to spend a lot of time on. I figured the chances of the person that contacted me having any influence in deploying North American air tankers to South America was very, very slim. As far as I knew the paradigm of contracting for air tankers was limited to federal, state, or provincial governments, not a random person who only had links to private companies in his automatic email signature. So I didn’t want to waste the time of every air tanker company in the world. I did not contact any company that I knew had 100 percent of their tankers committed to Australia. And I limited the short list to companies that had deployed air tankers on fires in 2016, or that I knew had recently received certification from the Interagency Air Tanker Board, and that I knew how to reliably contact. 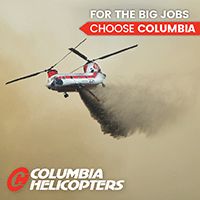 Not all air tanker companies will return my phone calls or respond consistently to my emails. 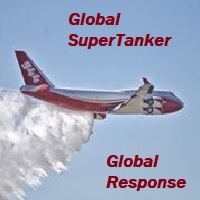 I forwarded the email to 10 Tanker Air Carrier, Neptune Aviation, and Global Supertanker. I wrote to them, “I don’t know if this is legit or not, but it might be an opportunity to use your aircraft in Chile.” Two of those companies, Global Supertanker and Neptune, followed up. So, Eduardo got the ball rolling, through Wildfire Today. What followed, in the case of Global Supertanker, were eight days of phone calls, email messages, and negotiations. During the week of January 22 an heir to the Walmart fortune in Denver, Ben Walton with his wife Lucy Ana, got involved. She grew up in Chile and still maintains very strong ties to the people and the country. They have used their foundation in recent years to help the residents in her homeland. In 2016 the foundation helped arrange for $1.5 million worth of medical supplies to be sent to hospitals and rural clinics in Chile. And they also rebuilt a school after it was destroyed by the earthquake and resulting Tsunami in Chile a few years ago. 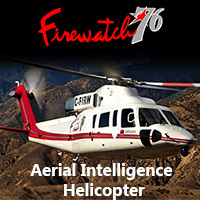 The Waltons had been following the escalating fire situation in Chile and were familiar with my web sites, Wildfire Today and Fire Aviation, after I had written about wildfires in Colorado. They knew the 747 Supertanker was based in Colorado Springs just an hour south of their Denver home. In discussions with Jim Wheeler, President and CEO of Global Supertanker, they offered to have their foundation, Foundación Viento Sur, provide the funds for the 747 to ferry to Chile and back, and for five days of firefighting in Chile. 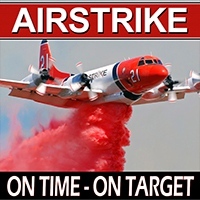 They hoped that after they saw the effectiveness of the aircraft, the government would retain the services of the air tanker for as long as it was needed . Working out the details with the foundation, the Chilean government, and Global Supertanker was a complex procedure that took a while. Ben and Lucy Ana visited Global SuperTanker’s Colorado Springs facilities on June 23 and received a briefing on the use and capabilities of the aircraft. Ben has some pilot training and both of them, but especially Lucy Ana, were very enthusiastic about its 19,200-gallon capacity and its potential to assist the residents of Chile. Lucy Ana Walton in front of one of the 747’s engines at Colorado Springs, January 23, 2017. Photo By Bill Gabbert. Attorneys in the U.S. and Chile got involved, and finally late Tuesday morning, January 24, the flight crew received the GO order and departed for South America at about 1:40 p.m. MST. Mr. Wheeler offered me one of the 12 seats on the 747 for the trip south, and I accepted and became embedded with the crew. I returned on my own February 5 and the aircraft flew back to Colorado Springs nine days later. Eduardo Frugone, who initially came up with the concept for the deployment of North American air tankers to Chile, helped to facilitate the missions before and during the assignment in exchange for a salary. The Chilean government was very reluctant to bring in aircraft from outside the country, possibly because they had existing contracts with European companies for single engine air tankers. Questions have been raised about irregularities related to the activities of those companies in Europe and an investigation is underway now in Chile about procedures, before this year, about the acquisition of firefighting aircraft. 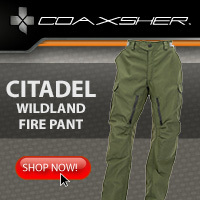 Chile is also considering the creation, for the first time, of a “Forest Service”-type agency that would assume the role of coordinating wildfire suppression, a task that presently is done by CONAF, a private, non-profit organization funded by the government and responsible for initiating air tanker contracts. Above: A BAe-176 recently acquired by Neptune lands at Missoula, November 20, 2016. It will become Tanker 16 sometime next year. Photo by Bill Moss. Neptune Aviation’s ninth BAe-146 arrived at Missoula, Montana on Sunday, November 20, 2016. The aircraft, to become Tanker 16, was last flown by Daallo Airlines and had been stored at Djibouti-Ambouti International Airport which is near the “horn” of Africa at the south end of the Red Sea. On November 9 Neptune re-registered it as N478NA. In September the company acquired their eighth BAe-146, Tanker 15. When we ferried Tanker 15 over [in September] the timing was poor, all of our flight crews were out on fires. So we did contact this company, Southern Cross, and negotiated with them to ferry the aircraft home. Based on that experience, Bill, it was more convenient and cost effective for them to bring Tanker 16 over. N478NA, a BAe-176 recently acquired by Neptune, taxis after landing at Missoula, November 20, 2016. Photo by Bill Moss. A BAe-146 does not have a tremendously long range, so it required more refueling hops than most large jet-powered passenger aircraft. A year ago when an RJ-85, a variant of the BAe-146, ferried from North America to Australia to begin an air tanker contract, it carried additional fuel in a bladder. 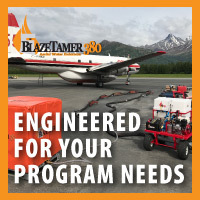 Air Tractor makes an optional kit that enables their Single Engine Air Tankers to carry extra fuel in the retardant tank on long ferry flights. Neptune’s plans are to begin conversion of their two recent acquisitions, T-15 and T-16, this winter, expecting to have T-15 completed by late winter after which they will bring T-16 into the hangar to begin the process on that aircraft. 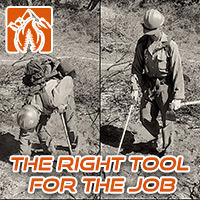 Mr. Hooper said the existing U.S. Forest Service “legacy contract”, under which six Neptune P2Vs are working, expires after the 2017 fire season. When a new contract, “Next-Gen 3.0”, is awarded for the period beginning in 2018, he expects to have retired all of their P2Vs, and their air tanker fleet will consist exclusively of BAe-146s. The USFS hopes to award the contract in the Spring of 2017, Mr. Hooper said. Neptune currently has two air tankers still working on fires. Tankers 10 and 41, both BAe-146s, are in the South, temporarily based at Tri-Cities Regional Airport in eastern Tennessee about 15 miles north of Johnson City. Thanks and a tip of the hat go out to Bill M.
Neptune’s eighth BAe-146 arrives at Missoula September 29, 2016. Photo by Bill Moss. One of the major winter projects at Neptune Aviation will be converting their eighth BAe-146 airliner into an air tanker. Aircraft N477NA arrived in Missoula September 29 after flying across the Atlantic via Reykjavik International Airport in Iceland. Bill Moss, who took these photos, told us that the aircraft’s previous registration identifier was LA-HBZ and it had been flying for Bulgaria Air for the last five years. It has served with 10 different operators since its first commercial flight in 1988 for American Airlines. As the fire season in the west winds down, Mr. Snyder said two of their air tankers were released yesterday for the year but they still have seven operating for the U.S. Forest Service and one with CAL FIRE. All of their P2V’s will be migrating to their maintenance facility in Alamogordo, New Mexico which has a winter climate much more friendly to radial engines than Missoula. Another long term project Neptune is working on is performing some of the work on the C-23B Sherpa aircraft the USFS got from the US Army to convert them to civilian SD3-60 certificates. They are usually working on one or two of the planes at a time, Mr. Snyder said, and will continue that project at least through 2017. According to an article at KXIF, this year the air tankers operated by Neptune Aviation have flown twice as many hours compared to the same time last year. The company has 12 tankers under contract, six P2V’s and six BAe-146’s, plus two of each that can be cycled in as maintenance is required. 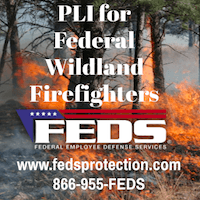 …The company’s “P2V” prop tankers, and “next gen” jets have already flown more than 1,000 hours, starting with the first firefighting assignments in the Southeast US back in February. Some of the aircraft that were at Missoula were relocated to Alamogordo-White Sands Regional Airport. Above: A Neptune Aviation BAe-146 landing at Redding August 7, 2016. Photo by Bill Gabbert. Neptune Aviation used seven air tankers in New Mexico for the company’s annual training according to a story in the Alamogordo Daily News. Crews used the opportunity to practice dropping on simulated fires and to perform maintenance on the piston engine planes. The company had seven BAe-146 jets and seven radial-engine P2Vs in the warmer climate for about two weeks. “…Neptune’s Chief Operating Officer Dan Snyder said the company brings their operations down to Alamogordo for about two weeks in February because of the warm weather is more amenably for their aircraft. He said with the P2V aircraft it needs a lot more preheating or warming up before a flight. He said Neptune trains between Alamogordo and Roswell airport. In Alamogordo Neptune houses the P2V Neptune’s while the BAe-146’s are housed in Missoula. Neptune does all of their heavy duty maintenance at Alamogordo-White Sands Regional Airport on the P2V aircraft. UPDATE March 24, 2016: The newspaper article said Neptune moved seven BAe-146 air tankers from Missoula to New Mexico for the training. 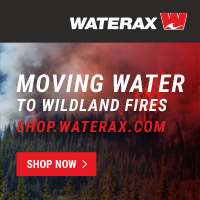 We checked with Dan Snyder of Neptune this week at the Aerial Firefighting conference, and he confirmed that the BAe’s remained in Montana, and did not go to New Mexico. This is a screen shot from a very low resolution video of a Neptune BAe-146 flyover at the 2015 University of Montana homecoming game in Missoula. USFS inspectors Andrew Kingsbury and Greg McDonald are all smiles alongside Neptune Aviation’s Suzie Kendall and Bryan Baker following a successful carding process. Ready for 2016! — with Bryan Baker. A comment by Bill Blake after we posted this photo on the Wildfire Today Facebook page gave us an idea… about starting a rumor that the Department of the Interior has received ten F-15E surplus fighter jets from the Air Force and will be using them as lead planes in 2016. In return, the Air Force got the 182 DoI drones. The photo was taken by Colin Moeser as Neptune’s Tanker 02 was paralleling an F15E Strike Eagle landing in Boise in 2015. Author Bill GabbertPosted on February 23, 2016 February 23, 2016 Categories Fixed wingTags BAe-146, Neptune1 Comment on New lead plane?